First the Question: All who have life in Christ Jesus are, RIGHT NOW, alive from the dead. Romans 6:13. True or False? Question: No Spirit-taught Child of God can read Romans 6:13 and Ephesians 2:5-6 and believe in the heathen doctrine of soul-sleeping. True or False? Now pay attention, because of the appalling ignorance of the message and ministry and Dispensation of the Grace of God, which the RISEN Christ revealed to and through the Apostle Paul, it is perhaps true that more believing sinners have been preached into the Body of Christ by hearing and believing John 3:16 than by all of the Grace messages in Paul’s writings. Most of the evangelists and other Christian workers, who specialize in John 3:16, generally quote with this verse Paul’s message to the Philippian jailer, “believe on the Lord Jesus Christ and thou shall be saved.” (Acts 16:31). So think again of the glorious Grace gospel of 2 Timothy 1:9-10, the salvation that the believer has because of the work of Christ, with Christ’s words at the time He raised Lazarus from the dead, “I am the resurrection and the life: he that believeth in Me, though he were dead yet shall he live: and whosoever liveth and believeth in Me shall never die.” (John 11:25-26). Every person, by the Faith in the crucified and resurrected and ascended LORD Jesus Christ, passes out of death into life. By the same act of the Faith, at the same time, that person is justified from all things. (Acts 13:39). A justified believer has righteousness, redemption, and sanctification, BECAUSE he has Christ. (1 Corinthians 1:30, Ephesians 1:6-7, and 2 Thess. 2:13). As we wonder why the words “righteousness,” “redemption,” “justification,” “forgiveness,” “reconciliation,” “hope” and “salvation” are NOT found in John’s Record (except the two verses John 4:22 and John 16:10), whereas they are found in the Apostle Paul’s ministry about 200 times, it IS interesting to note that in John’s Gospel and in his First Epistle we find “eternal life” or “everlasting life” more than in Matthew, Mark, Luke, and all of Paul’s fourteen Epistles and in his recorded oral ministry in the Book of Acts. In these two Books by John, “eternal life” or “everlasting life” is mentioned 22 times; only 20 times in the other eighteen Books. These two words together are not found in any of the Apostle Peter’s recorded ministry or in the Epistle of James. They are found once in Jude. Surely the theme of John’s Gospel is “everlasting life.” Many times in this Record the word “life” and “live” refer to everlasting life. The LORD Jesus said, in John 14:19, “because I live, ye shall live also.” Note in Revelation 2:8 how the RISEN Christ is described, “the first and the last, Who was dead, and is alive,” yes, “alive for evermore.” (Revelation 1:18). “Believe on the LORD Jesus Christ, and thou shalt be saved” Acts 16:31, while there is still time! Grace be to you and peace, from God: our Father, and The LORD Jesus Christ. First the Question: No matter how religious a dead sinner may be, God wants none of his good works or religious doings. True or False? Question: No matter how religious a dead sinner may be, God wants none of his good works or religious doings. True or False? The Apostle Paul testified, “for me to live is Christ” (Philippians 1:21). Paul said, “Christ liveth in me.” (Galatians 2:20). “When Christ, who is our ‘LIFE’ shall appear, then shall ye also appear with Him in glory.” (Colossians 3:3-4). In this same Epistle to the Colossians, Paul wrote to saints, “you hath He made alive together with Him (Christ), having forgiven you all trespasses.” (Colossians 2:13). In Paul’s Epistle to the Ephesians he addresses the believers as Saints, and adds “to the faithful in Christ Jesus.” In Ephesians 5:3-4 these saints are instructed how to walk and behave “as becometh saints.” So in this Epistle, as in other Epistles of Paul and Peter, we are told how to become saints, and how to behave as becometh saints. God has much service for saints to do, so many good works for saints to perform, instructing us, in Ephesians 2:10, that we are His workmanship, created in Christ Jesus, unto good works which God hath before ordained that we should walk in them. 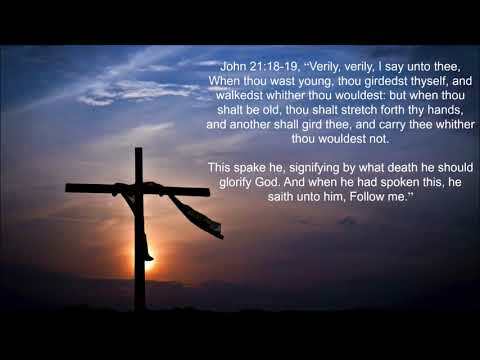 But in God’s Grace message the Holy Spirit has so clearly stated the all important truth that no dead sinner becomes a living saint by behaving or walking or working. No matter how religious a dead sinner may be, God wants none of his good works or religious doings until he is made alive by God’s Grace and power, until he is the recipient of God’s saving Grace through faith in the perfect redemptive work of the perfect Christ. (Ephesians 2:8-9, Titus 3:5-8). 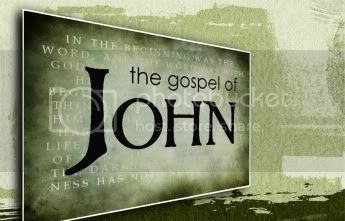 In this message series, “THE GOSPEL OF JOHN....THE GOSPEL OF CHRIST”, you have undoubtedly observed that we have shown and will continue to show that the truth in John is NOT so much like the truth in Matthew as it is like the Grace message which the LORD revealed to and through the Apostle Paul. In Ephesians 2:1-6 we learn that the sinner is by nature the child of wrath, dead in sins, far beyond helping himself toward God, but that by the Faith he is made alive by God and is raised up and made to sit down in the heavenlies in Christ. In Ephesians 1:4-5 we learn that the dead sinners, who become living saints, were chosen by the Father and the Son. Then as we study Ephesians from Ephesians 2:10 on through the Epistle we learn that the Father wants His redeemed children to walk worthy of the calling wherewith they are called, to be established in His Truth, and know that they are called to separation and service. Also He wants them to know that they are joined to the risen Christ in an inseparable and eternal union, and all joined by the Holy Spirit to one another as members of Christ’s JOINTBODY (NOT ‘same’ Body as in Ephesians 3:6). With this truth in Ephesians let us read John 6:29, John 5:24, and John 15:16, “This is the work of God that ye believe in Him Whom He hath sent.” “Verily, verily, I say unto you, He that heareth My Word, and believeth Him that sent Me hath everlasting life, and shall not come into condemnation, but has passed out of death into life.” “Ye have NOT chosen Me, but I have chosen YOU, and ordained you, that ye should go and bring forth fruit, and that your fruit should remain.” This last statement is in connection with Christ’s teaching concerning The Vine and The Branches, the truth that Christ was the Vine and those who received Him as Savior were the branches abiding in Him. The branches were to bear much fruit (John 15:8), and prove to the world that they were branches by loving one another. (John 15:12). According to John 17:21-23 the Lord Jesus prayed that the branches abiding in Him, The Vine, should maintain perfect unity, so that the world would believe that the Father sent His Son from heaven into world. Let us also read what Christ said to John long after He had abolished death and ascended far above all heavens, “I am He that liveth and was dead: and behold I am alive forevermore. Amen. And I have the keys of hades and of death” (Revelation 1:18). Surely we can understand why the apostle Peter said to the eternal, omnipotent Christ, “Thou hast the words of eternal life.” (John 6:68). We can understand why the Apostle Peter called the crucified and risen Son of God, “The Prince of Life.” (Acts 3:14-15). What may surprise us is the fact that in Peter’s ministry recorded in the Book of Acts and in his two Epistles he did NOT mention EVEN ONCE “eternal life” or “everlasting life.” He wrote of an abundance entrance into the everlasting Kingdom of our Lord and Savior Jesus Christ” (2 Peter 1:11), and that faithful teachers of the Word would be rewarded with the Crown of Glory; that Christians have been called by the God of all Grace unto eternal glory by Christ Jesus. (1 Peter 5:4-10). Most Christians do not seem to like the other calling mentioned in Peter’s two Epistles, ‘suffering’. As we compare John’s messages of eternal life with Paul’s messages of eternal life, we think of the truth in Titus 1:1-3, ETERNAL LIFE WHICH GOD PROMISED BEFORE THE WORLD BEGAN! Question: Becoming identified with a local assembly is NOT called, in the Bible...Joining the Church. True or False? In the great prayer of the Apostle and High Priest of our confession in John 17:1-25, we read in John 17:9 that He is praying not for the world, but for believers. “That they all may be ‘ONE’. That they may be ‘ONE’ in us. That the world may believe that Thou hast sent Me.” (John 17:21). “That they maybe ‘ONE’, even as we are ‘ONE’.” (John 17:22). “That they maybe made perfect in ‘ONE’.” (John 17:23). God raised Christ from the dead, and raised Him far above all heavens (Ephesians 4:10), “and gave Him to be Head over all things to the CHURCH, Which is His BODY, the fullness of Him that filleth all in all.” (Ephesians 1:22-23). “There is ‘ONE’ BODY.” (Ephesians 4:4). “There should be no ‘DIVISION’ in the BODY.” (1 Corinthians 12:25). “That there be no ‘DIVISIONS’ among you; but that ye be perfectly joined together.” (1 Corinthians 1:10). “Is Christ DIVIDED?” (1 Corinthians 1:13). There is ‘ONE’ LORD, ‘ONE’ Faith, ‘ONE’ Baptism.” (Ephesians 4:5). “Endeavouring to keep the ‘ONENESS’ of the Spirit in the bond of peace.” (Ephesians 4:3). Concerning the CHURCH, (of the Dispensation of Grace, the Dispensation of the Mystery), Which is the ‘ONE’ BODY, called in Ephesians 3:6, “JOINTBODY”, a “BUILDING” and a “HOLY TEMPLE” in Ephesians 2:21, we read, “In Christ all the ‘BUILDING’ fitly joined together groweth unto a ‘HOLY TEMPLE’ in the Lord, in Whom ye are builded together.” (Ephesians 2:21-22). In spite of the unholy, disgraceful, divisions and subdivisions and more than 300 sectarian church organizations, God has His ONE BODY, but His ONE BODY is not a religious organization but a spiritual ORGANISM, the “JOINTBODY”. “The foundation of God standeth sure, having this seal: the Lord knoweth them that are His.” (2 Timothy 2:19). There are NO unsaved people in the BODY of Christ. God only knows how many unsaved people are members of so called Christian church organizations. The LORD Jesus and the CHURCH are ONE flesh (Ephesians 5:31-32). “God is making ONE New Man of believers who are reconciled to Him in ONE BODY by the cross.” (Ephesians 2:15-16). The Lord Jesus will present the CHURCH to Himself, glorious, blameless, holy and spotless. (Ephesians 5:25-27). In this Age and Dispensation of Grace, the Dispensation of the Mystery; the very moment the believing sinner meets God at Calvary, receiving Christ and believing that He was delivered for our offences and raised for our justification, that believing sinner, without ritual, water baptism, or ANY religious ceremonies, immediately is made a CHURCH-MEMBER by the Grace and power of the Father, the Son, and the Holy Spirit. Becoming identified with the local assembly is NOT called, in the Bible, ‘Joining the Church’. The believer’s eternal security is IN CHRIST. (Romans 8:1, Ephesians 2:13, 2 Cor. 5:17, Ephesians 1:4-7, Colossians 2:10). God will yet gather together in ‘ONE’ all things ‘IN CHRIST’. (Ephesians 1:10). First the Question: Becoming identified with a local assembly is NOT called, in the Bible...Joining the Church. True or False? There are many church buildings and church organizations on this earth. Many of the people, who are members of the different church organizations, are also members of God’s Church. About 2000 years ago the Apostle Paul instructed the spiritual leaders of Ephesus, “Feed the CHURCH OF GOD, WHICH HE HATH PURCHASED WITH HIS OWN BLOOD.” (Acts 20:28). Very interesting is this statement concerning God’s Church. Since the day that Paul spoke to those elders many members of God’s Church have departed to be with Christ. (Philippians 1:23). Concerning the Apostles Peter and John, we read in Acts 4:23, “And being let go they went to their own company.” This word “company” suggests their own private group. In 1 Corinthians 14:23 we read of the church coming together. In Hebrews 10:25 we read, “not forsaking the assembling of ourselves together.” So every member of God’s Church should be identified with other such members of like precious faith and should have a regular meeting-place or assembly. But every member of God’s Church, in the matter of “church membership” should faithfully obey 2 Cor. 6:14, “be not unequally yoked together with unbelievers.” And every member of God’s Church should faithfully obey Ephesians 6:18, and pray with all perseverance and supplication for all saints. Church officers may receive from the members of some particular local assembly the right to induct others into that membership. But only God Himself can receive a person into His Church, that is, cause a believer to be joined to the Body of Christ by being joined to Christ. 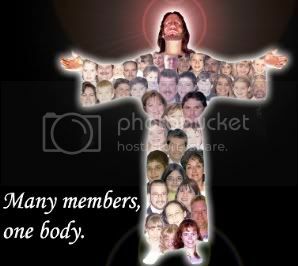 “So we, being many, are One Body in Christ, and everyone members, one of another.” (Romans 12:5). This means, of course, that ALL SAVED Presbyterians, Episcopalians, Lutherans, Methodists, Baptists and Congregationalists are members one of another. But it certainly does NOT mean that all of the members of these DENOMINATIONS are members one of another. No man can baptize his fellow man into the Body of Christ. This can be done only by almighty God. However, it is true that the Faith cometh by hearing the Word of God and sinners cannot believe unless they hear and they cannot hear unless God’s saints go to them with the saving Gospel, to plant and water, so that God will give the increase, and add such as are being saved. (Romans 10:12-15, Acts 2:47). “And believers were the more added to the LORD.” (Acts 5:14). In Hebrews 10:10 and Hebrews 13:12 we are told how sinners became saints, “By the which will we are sanctified through the offering of the body of Jesus Christ.” AND, “Wherefore Jesus also, that He might SANCTIFY the people with His own blood, suffered without the gate.” Then note 1 Corinthians 6:9-11, how God makes living saints out of dead sinners, how God justifies and sanctifies believing murderers, drunkards, thieves, adulterers, which is the very same in the case of the believing self-righteous, moral, religious person. “Such were some of you; but ye are washed; but ye are SANCTIFIED; but ye are justified in the Name of the LORD Jesus and by the Spirit of our God.” In Titus 3:5-8 this is called “by the washing of regeneration,” which God bestows. Now, PAY ATTENTION, God is VERY jealous concerning His Son and His Son’s Body; so be very careful that YOU are not trying to build up something, such as YOUR denomination IN COMPETITION with God, instead of being laborers together with God in building the ONE BODY of Ephesians 4:4. The word CHURCH is found more than 100 times from Acts to Revelation; twice in Matthew 18:17. The Greek word is EKKLESIA. 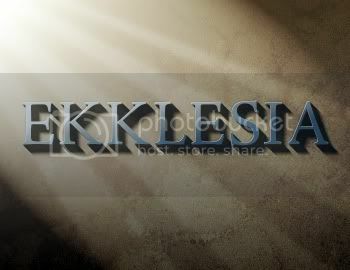 In the Greek translation of the Old Testament Scriptures this word EKKLESIA is used quite frequently and is generally translated “congregation,” as it is in Acts 19:32, Acts 19:39-41, where the Greek word is used to describe an angry, lawless mob of heathen. Where the Greek word EKKLESIA refers to God’s Church, it does not refer to an assembly room or meeting place, but to a company of people; for the word EKKLESIA means CALLED OUT. Therefore, God’s Church, God’s Ekklesia, during this Dispensation of Grace, or the Dispensation of the Mystery, is composed of believers, or saints, whom God by the Holy Spirit and the Gospel of Christ has called out of this condemned world to be joined to Christ, as one flesh, to make up the one new man of Ephesians 2:15 and Ephesians 5:31-32. In Ephesians 5:25-27 we learn that Christ is going to present THE CHURCH unto Himself, a glorious, spotless, blameless, Holy Church. How sad it is to know that many members of church organizations on this earth will not be there. Will you? Question: Between the two thieves on the cross, between Cain and Abel, between the two men who went up to the Temple to pray, between Moses and Pharaoh, between all believers and unbelievers, IS the LAMB OF GOD. True or False? In Luke 12:50 the Lord Jesus explained that He was going to the cross for His “death” baptism, and not to David’s throne to reign over the house of Israel. (Luke 1:27-33). Peace on earth would be postponed. (Luke 2:14). Instead of peace on earth note Christ’s question and answer in Luke 12:51-53, “Suppose ye that I am come to give peace on earth? I tell you, Nay, but rather division: for from henceforth there shall be five in one house divided, three against two, and two against three.” The question may come to your mind; “how can we reconcile this with Acts 16:31, “believe in the Lord Jesus Christ, and thou shalt be saved, ‘and thy house’?” It seems, as we read Acts 16:15, that all of Lydia’s household were saved when she was. But today all about us we see the unhappy division to which Christ referred in Luke 12:51-53. Christ has indeed divided families and friends. In Matthew 25:31-46 we learn that bye and bye the Lord Jesus, as King and Judge here on earth, is going to do some dividing. “Before Him shall be gathered all nations: and He shall separate them one from another, as a shepherd divided His sheep from the goats.” (Matthew 25:32). There was something between the penitent and the impenitent thief on the cross. There was something between Cain and Abel. There was something between the two men who went up to the temple to pray. (Luke 18:10-14). The very same thing will be between the unbelievers in eternal conscious perdition and the believers in eternal conscious glory. Between the two thieves was the LAMB of GOD Who beareth away the sin of the world. The blood of the lamb was between Cain and Abel. The blood-sprinkled mercy-seat was between the two men who went up in the temple to pray. (Luke 18:10-14). 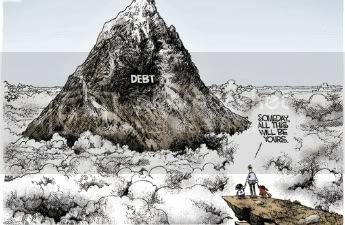 New debt on the credit card:………………….$16,500. Does this clarify it ? THIS is why the U.S. credit rating was downgraded. First the Question: Between the two thieves on the cross, between Cain and Abel, between the two men who went up to the Temple to pray, between Moses and Pharaoh, between all believers and unbelievers, IS the LAMB OF GOD. True or False? Question: No man can BELIEVE and PROCLAIM that Jesus is The LORD except BY the Holy Spirit. True or False? 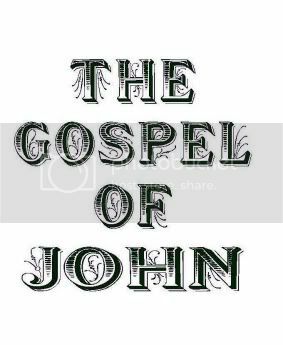 There are millions of so-called Christian church-members today who DO NOT believe the report concerning the eternal, Divine, omnipotent, omniscient, sinless Christ of John’s Gospel. Now, these churchy religious people will not openly call Jesus a deceiver. And even many rabbis would agree with these unsaved, religious church-members that Jesus Christ was a ‘Good Man’. So the question then to be asked is, How do they know He was a ‘Good Man? And then, Is John’s biography of the Lord Jesus trustworthy? Can we give an intelligent answer to the question, “what think ye of Christ,” by depending on what Christ says about Himself in John’s Gospel? So, IF these religious church-members base their appraisal of Christ on John’s Record, they MUST decide that Jesus Christ was both “GOD” and “GOOD,” OR, He was neither “GOD” nor “GOOD.” Christ was either GOD in human form, or He deceived the people. Peter, John, and Paul, all believed that Jesus Christ was the eternal God in human form. When the Apostle Peter said to the Savior, “Thou art the Christ, the Son of the living God” (Matthew 16:16), “Jesus answered and said unto Him, flesh and blood hath not revealed it unto thee, but My Father Who is in heaven.” (Matthew 16:17). It is true that the natural man receiveth not the things of the Spirit of God: for they are foolishness unto him: neither can he know them, because they are spiritually discerned. (1 Corinthians 2:14). When unsaved religious church-members repudiate the clear statements concerning the eternal Deity and virgin birth of the self-existent Christ, it is because no man can say that Jesus is the Lord except by the Holy Spirit, Whom the world cannot receive, because it seeth Him not, neither knoweth Him. (1 Corinthians 12:3, and John 14:17). What is so strange is that many unsaved religious church-members desire to bear the Name of Christ (Christian), and yet they do not know that a “Christian-infidel” is an impossible paradox. Of course when we read of the clever devil’s work in 2 Cor. 11:13-15, perhaps we should not be surprised. Satan transforms himself into an angel of light and camouflages his ministers as ministers of righteousness who minister as servants of Christ. Many of these unsaved, religious, church members, are called modernists. Every modernist, who pretends to be a Christian, is either an infidel or an idolater. If he does not honor the Son as he honors the Father (John 5:23), if he does not worship Him, as He was worshipped by angels and men (Hebrews 1:6-8, and John 20:28), “my Lord and my God,” he is an infidel. If he really worships Christ, whom he believes to be no more than a good man, and not the eternal Son of God, he is an idolater. First the Question: No man can BELIEVE and PROCLAIM that Jesus is The LORD except BY the Holy Spirit. True or False? Question: The LORD Jesus said that the Israelites did not believe Moses. John 5:45-47. True or False? In John 7:43 we read, “So there was a division among the people because of Him (Jesus).” “There was much murmuring among the people concerning Him: for some said, He is a good man: others said, nay, but He deceiveth the people.” (John 7:12). “Others said, this is the Christ.” (John 7:41). The LORD Jesus said, “I came down from heaven, not to do Mine own will, but the will of Him that sent Me.” (John 6:38). He said, “before Abraham was, I AM.” (John 8:58). The LORD Jesus said that He had glory with the Father BEFORE the world was. 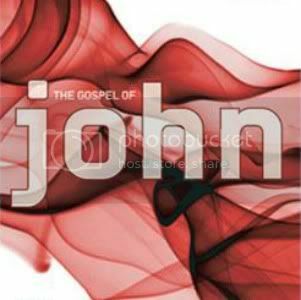 (John 17:5). We read in John 1:18 and John 3:13, “no man hath seen God at any time: the only Begotten Son, Who is in the bosom of the Father, He hath declared Him.” AND, “And no man hath ascended up to heaven, but He that came down from heaven; the Son of Man Who is in heaven.” The Son said, “he that hath seen Me hath seen the Father.” (John 14:9). 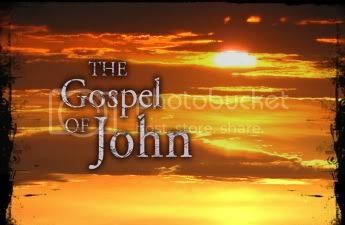 Very many times in John’s Record the Son of God refers to Him self by noun and pronoun. He calls Himself the “I AM” about twenty times in John, saying in John 8:24, “if ye believe NOT that I AM, ye shall die in your sins.” Is it any wonder that believers and unbelievers agreed concerning Christ, “never man spake like this Man?” (John 7:46). Take note, others asked a very interesting question, “when Christ (Messiah) cometh, will He do more miracles than these which this Man hath done?” (John 7:31). Now, this question in John 7:31 is VERY interesting. It was NOT asked by disciples, but by Israelites who were partly confused and partly convinced. Israel’s rulers did not believe Moses. Today the religious world, even Christendom, is confused. Israel knew that any Jew, who claimed to be orthodox, who claimed to believe Moses and the other prophets, including Daniel, should have believed that a personal, Divine Messiah was coming from heaven to earth, and that according to Isaiah 35:3-6 and Isaiah 7:14 and Isaiah 9:6-7, He would be both the Son of God and God. He would prove that He was the God of Isaiah 35:3 by performing the miracles of Isaiah 35:4-5. The LORD Jesus performed all of these miracles, and many more. The Savior, in John 5:36, testified that the miraculous works which He was doing were His credentials, witnessing that the Father had sent Him. Hear another testimony of the Son of God, “believe Me that I am in the Father, and the Father in Me; or else believe Me for the very works’ sake.” (John 14:11). According to the words of the Lord Jesus in John 5:45-47, the Israelites, who claimed to believe Moses, were not honest and sincere. They did not believe Moses. The Apostle Paul told Israel the truth, in Acts 13:27, saying that the Jews in Jerusalem, including their rulers, had fulfilled the Old Testament Scriptures, which were read in the synagogue every Sabbath, by condemning their Messiah Who had come to them in fulfillment of those Scriptures. Because the rulers of this world knew not, they crucified the LORD of Glory. (1 Corinthians 2:8). When they had fulfilled all that was written of Him they took Him down from the tree, and laid Him in a sepulcher: But God raised Him from the dead. (Acts 13:39 and 30). First the Question: The LORD Jesus said that the Israelites did not believe Moses. John 5:45-47. True or False? Question: Members of the Body of Christ have ONE or TWO PARAKLETOS, (Parakletos is Greek, so look it up)? In Matthew, Mark, and Luke, there is not a hint of the truth recorded in John 13, John 14, John 15, John 16, or John 17, in which chapters we learn something of the ministry or work of the TWO Paracletes, the LORD Jesus AND the Holy Spirit. In John 13, after we read that the LORD Jesus loved His own in the world UNTO THE END, which causes us to think of Philippians 1:6, and Hebrews 7:25, we understand something of the meaning of the words of the Savior, recorded in John 13:10, “he that is washed (all over) needeth not save to wash His feet.” This causes us to think of 1 John 2:1-2, Christ the Propitiation for our sins by His work on the cross, by which believers are washed all over, once for all, and Christ, the believer’s Advocate (Paraclete), or footwasher. Peter and the other apostles knew that their feet were being washed by the Lord Jesus; but He said to them: “what I do thou knowest not now: but thou shalt know hereafter.” (John 13:7). The LORD Jesus was here teaching His apostles that after His death, resurrection, and ascension they would know that the washing of their feet foreshadowed His work as their footwashing Advocate in the presence of God in heaven. In John 17 as we consider the Apostle and High Priest of our confession, interceding with His Father in behalf of those GIVEN TO Him by His Father, we think of Hebrews 8:1-2, “we have such an High Priest, Who is set on the right hand of the throne of the Majesty in the heavens, a Minister of the sanctuary and the true tabernacle.” “For Christ is not entered into the holy places made with hands, the figures of the true, but into heaven itself now to appear in the presence of God for us.” (Hebrews 9:24). This intercessory work of the great High Priest in God’s presence in behalf of Christians guarantees them UTTERMOST salvation. 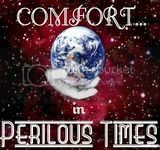 (Hebrews 7:25). This means the answer to Christ’s petition in John 17:24 in behalf of His disciples, that they may be with Him and behold His glory. In Colossians 3:1-4, Philippians 3:19-20, 1 John 3:2, and Romans 8:18, we learn that Christians are going to SHARE with the LORD Jesus His eternal Divine glory in the ages to come. (Ephesians 2:7). Therefore, in between chapters thirteen and seventeen in John’s Record we have set forth something of the ministry and work of the other Paraclete, the Holy Spirit. First the Question: Members of the Body of Christ have ONE or TWO PARAKLETOS, (Parakletos is Greek, so look it up)? Question: There is ONE God, and ONE mediator between God and men, the man Christ Jesus. 1 Timothy 2:5. That means NOT Mary, Angels, Priests, Shaman, or any one or any thing else. True or False? So we see that the unsaved sinner must reach God through Christ on the cross; and that the sinning saint must reach God, the Father, through God the Son Who is in the Father’s presence in heaven, representing the believer. Christ’s statement is quite dogmatic and emphatic in John 6:44, “No man can come unto Me (the Son) except the Father Which hath sent Me draw Him: and I will raise Him up the last day.” How does the Son draw the believing sinner to His Father? Note the answer in John 16:7-11, the truth that the Holy Spirit will reprove the world of sin, because they believe not on Me. Then note 2 Thess. 2:13, “God, from the beginning, hath chosen us unto salvation through sanctification of the Spirit and belief of the truth.” Faith cometh by hearing the Word of God, the Gospel of your Salvation. (Romans 10:12-16, and Ephesians 1:13-14). When the resurrected Christ met His Apostles in a mountain He gave them what has been called the Great Commission, instructing them to do their work in the Name of the Father, and of the Son, and of the Holy Spirit. (Matthew 28:19-20). The wording in this commission and what we have quoted from the writings of the Holy Spirit through the Apostles John, Peter, and Paul, prove the Personality and Deity of the Holy Spirit. This truth seems to be confirmed in Acts 13:2, Acts 5:3-10, Revelation 22:17, Acts 16:7, and in other Scriptures. First the Question: There is ONE God, and ONE mediator between God and men, the man Christ Jesus. 1 Timothy 2:5. That means NOT Mary, Angels, Priests, Shaman, or any one or any thing else. True or False? Since the day The LORD Jesus Christ asked the question of His own nation, “What think ye of Christ?”, Matthew 22:42, countless millions of many nations in every generation have put the same question to their own hearts and consciences and to their fellow men. In order to answer such a question intelligently concerning any man, it is necessary to get acquainted with him. 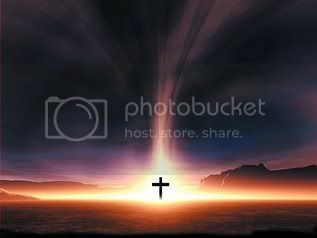 There is a certain acquaintance with Christ which can be experienced ONLY by those who are indwelt by the Holy Spirit. But there is available for any man a written record of the character and achievements of the One who asked the question. Had the question, “What think ye of Christ?”, Matthew 22:42, been asked by any other man concerning himself, it would have suggested the spirit of self‑importance or egotism on the part of the man. But to any one who has made even a hasty superficial study of the written record, the question asked by Christ seems most proper and in order. And really it behooves every individual to give to the question an answer which will be well pleasing to the One Who asked it. The most sensible decision that any sensible person can reach so far as this Man’s relation to the record is concerned is, that the historical Jesus is the Bible Christ. The record has existed for two thousand years. It has been discussed, criticized, hated and condemned by millions. It has been honored, cherished, and defended, even unto martyrdom by other millions, just as intelligent, courageous, and true as those who have been its bitterest enemies. Never since this history was written has this record been the object of such vicious and insidious assaults as at this present time, when all the forces of Satan are turned loose against it. But multitudes are still submitting the record to the test, “if any man willeth to do His will he shall know of the doctrine, whether it be of God, or whether I speak of Myself.” John 7:17. No man has ever been wise enough to produce evidence to invalidate the Bible record of Jesus Christ. Some have persuaded themselves that the record is too unique to be true; and their verdict is, that the narratives were either written by enthusiastic religious men who were deceived, or they discount the record as a willful forgery. No one is more ignorant than the one who declares that the Scriptures are the imaginations or inventions of ignorant men. Moreover it must be admitted, that if the records concerning Christ be forgeries, they are the forgeries of very clever men. If the writers were deceived, were they deceived by Christ? The Pharisees accused Him of deceiving the people. “Are ye also deceived?” John 7:47. Concerning Christ, “some said, He is a good man; others said, Nay; but He deceiveth the people.” 7:12. Christ did not prove His goodness by deception. If the narratives be forgeries, then what is our conclusion concerning Christ? Was He a fictitious character? Is the Christ of orthodox Christianity unreal? Did such a man as Jesus Christ ever live on earth? If so, was He a good man or a deceiver? Without a trustworthy history to study, who knows? If the Bible narratives of Jesus Christ be the untrustworthy or untrue writings of deluded or dishonest men, to whom shall we turn for reliable information that will enable us to answer intelligently the question, “What think ye of Christ?” Matthew 22:42. Some say, “we do not know what to think.” Why not forget Him altogether and decide that the question was never asked and that the Christ who was supposed to have asked the question never existed? It is impossible for any intelligent person to do this. The LORD Jesus Christ has so found His way into every avenue of human experience that any thinking person must acknowledge that He is an up to date living reality. If unreal, truly He has more influenced human life and thought than all the REAL men of all ages combined. The Jews in His day said. “And destroy Jesus”. It was impossible then. It is impossible today. No one can blot Him out of human history. Surely the Jews did their very best to get rid of Jesus Christ. They have tried to forget Him. They have tried to ignore Him. They have tried to explain Him away by every argument. And in spite of their determined efforts, every thinking rabbi, whether associated with an orthodox or a liberal congregation, is now declaring that Jesus of Nazareth was the best man who ever lived on this earth and that He has exercised more influence for good upon the human race than all other men combined. Are they deciding that He was good, because of His good influence, or because they have carefully examined His written biography? Why can they not see their inconsistency in acknowledging the superiority of the most extraordinary Man who ever lived on this earth, while at the same time they are discrediting and condemning the only record that can truly establish His right to their respect and admiration? There is only one other group of men more inconsistent than the inconsistent Jews, the so called Modernist Christians. They believe virtually what the Jews believe but they go a step further and bear the name of Christ and claim to be His disciples. These Modernist “christians” bow in His name to worship the true Deity; call Jesus Christ the fairest flower of humanity; exalt and praise Him as the highest expression of the ONE and ONLY God; even claim that they believe in the Son’s revelation of the Father; AND at the same time they declare that the record containing that revelation is either the work of frauds or ignorant men, writings which no intelligent man of this enlightened age can accept to be worth more than fiction. IF these modernist “christians” have learned that Jesus Christ is the noblest, truest, purest expression of the mind and heart of the true and living God, they have learned that great fact BY reading narratives that they say are false, if not fraudulent, and if their learning and thinking have been based upon that which is false, their opinions are worthless and they know not what they think they know! They are insane!! Any intelligent and satisfactory answer to the question, “What think ye of Christ?”, Matthew 22:42, must be based upon the Scriptural record of Christ. If on that basis, the LORD Jesus Christ is worthy of admiration, He is likewise worthy of adoration. He should be both respected and worshipped OR neither respected nor worshiped. He is mentioned by noun and pronoun about 7000 times in the New Testament. The same supernatural story is woven into every part of those Scriptures. After studying these 27 records, we should decide that the Jews of the first century who took up stones to stone Him, “because Thou being a man makest Thyself God”, were far more consistent than are the Modernist Jews and so called Modernist Christians of the twentieth century who join with Judas to betray Christ with a kiss. John 10:30-38. “What think ye of Christ?”, Matthew 22:42. Without the Scriptures I know not what I think. 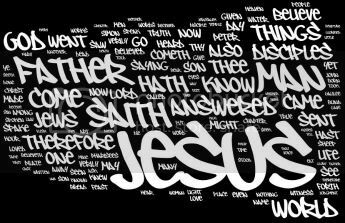 However, BY the Scrip­tures I think that Christ is, “Wonderful”, “Counsellor”, “Mighty God”, “Everlasting Father”, “Prince of Peace”, “Man of Sor­rows”, “Plant of Renown”, “The Lily of the Valley”, “The Rose of Sharon”, “A Righteous Branch”, “The Sun of Righteousness”, “The Bright and Morning Star”, “The King of Israel”, “The King of the Jews”, “Messiah”, “The Lion of the Tribe of Juda”, “The Root and Offspring of David”, “King of Kings and Lord of Lords”, “Captain of our Salvation”, “Apostle and High Priest of our Profession”, “The Lord of Glory”, “The Prince of Life”, “The Just One”, “The Holy One of God”, “The Lamb of God”, “The Light of the World”, “The Good Shepherd”, “The True Vine”, “A Prince and a Saviour”, “Son of Man”, “The King of Glory”, “The Christ the Son of the Living God”, “The Bread of Life”, “The Lord’s Christ”, “A Great Prophet”, “The Christ of God”, “Immanuel”, “One Altogether Lovely”, “Chiefest Among Ten Thousand”, “The Lord Our Righteousness”, “The Lord Whom Ye Seek”, “Jesus Who is called Christ”, “The Son of God”, “A Friend of Publicans and Sinners”, “Christ our Passover”, “Our Peace”, “The Son of His Love”, “The King Eternal”, “Merciful and Faithful High Priest”, “Our Forerunner”, “Author of Eternal Salvation”, “Author and Finisher of our Faith”, “The Great Shepherd of the Sheep”, “The Lord that Bought Us”, “An Advocate”, “The Holy One”, “The Word of God”, “The First Begotten of the Dead”, “The Seed of the Woman”, “Shiloh”, “A Root out of Dry Ground”, “Jesus Christ the Son of David”, “The Bride­groom”, “The Stone Which the Builders Rejected”, “The Head of the Corner”, “Son of the Highest”, “The Only Begotten of the Father”, “The Word”, “A Man Approved of God”, “The I AM”, “The Resurrection”, “The Way”, “The Truth”, “The Life”, “He That Cometh from Heaven”, “Abraham’s Seed”, “Melchisedec”. Question: When we, by Faith in Christ, meet God at Calvary, we become the sons of God, a relationship which is established once and for all. True or False? We read these interesting words in 1 John 2:1, “if any man sin, we have an Advocate with the Father, Jesus Christ the righteous.” Here we learn that the LORD Jesus Christ is the Christian’s ‘ADVOCATE’ with the Father. Now, there is MORE here than the implication, that those redeemed by the Grace of God and the Faith in Christ, Who is the propitiation for the sins of the whole world, need an Advocate with God, our Father in heaven. (1 John 2:2). In Hebrews 7:25 we learn that the Father and the Son are able to save to the uttermost (all the way to end), believers who come unto the Father through the Son. Because the Son ever liveth to make intercession for them. In Hebrews 9:24 we learn that Christ has entered into heaven itself, there to appear in the presence of the Father FOR Christians. Prayerfully consider this wonderful, blessed truth. The LORD Jesus on the cross put sin away by the sacrifice of Himself (Hebrews 9:26), there suffering for sin ONCE, the Just for the unjust, that He might bring us to God (1 Peter 3:18), there making peace by the blood of His cross (Colossians 1:20) and becoming the propitiation for the sins of the whole world. He, by the Grace of God tasted death for every man (Hebrews 2:9). Christ gave Himself a ransom for all (1 Timothy 2:6). Every person should know that when we by the Faith in Christ meet God at Calvary we become the sons of God, a relationship which is established once for all. (Hebrews 10:10). As the LORD Jesus Christ, the Righteous, was delivered for our offenses and was raised again for our justification (Romans 4:24-25) to establish our relationship, He has for more than 2000 years been the living Intercessor in the presence of God in heaven to maintain the believer’s fellowship. Only justified, redeemed people have an Advocate, (and only Christ can maintain that relationship, NOT US!). When we read in Hebrews 7:25, that, because of the ceaseless intercession of the Son of God in heaven, God is able to save believers ‘all the way to the end’, we think of Christ in John 13:1 and John 17:24, the Apostle and High Priest of our confession (Hebrews 3:1), “having loved His own which were in the world, He loved them to the end”, and “Father, I will that they also, whom Thou hast given Me, be with Me where I am, that they may behold My Glory.” Inasmuch as no one is able to pluck believers out of the hand of the Son or the Father (John 10:28-29), Christ’s prayer will be answered. Believers will be saved all the way to the end. (Philippians 1:6, and Romans 8:38-39, 1 Corinthians 11:32). The Greek word translated ‘ADVOCATE’ in 1 John 2:1 is ‘PARAKLETOS’. 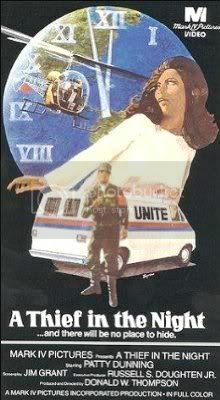 ‘PARAKLETOS’ is from “PARAKALEO,” meaning ‘CALL NEAR’. So the believer has a Paraclete in heaven in the presence of the Father. In John 14:16-26, John 15:26, and John 16:7, the Greek ‘PARAKLETOS’ is translated ‘COMFORTER’, referring to the Holy Spirit. Of course you and I would like to know why the word ‘PARAKLETOS’, referring to the Second Person of the Trinity, is translated ‘ADVOCATE’, and referring to the Third Person, the Holy Spirit, is translated ‘COMFORTER’. But we do know that they are both ‘INTERCESSORS’, as we learn in Hebrews 7:25 and Romans 8:26-27. We have already quoted the words of Hebrews 7:25. Now let us note prayerfully and carefully Romans 8:26-27, “The Spirit, also helpeth our infirmities: for we know not what we should pray for as we ought: the Spirit Himself maketh intercessions for us (Christians) with groanings which cannot be uttered. He maketh intercession for the saints according to will of God.” When the LORD Jesus Christ, as the believer’s ‘PARACLETE’, was washing the feet of believers in John 13, He was indeed a ‘PERSON’. So a ‘PARACLETE’ is a ‘PERSON’. This ‘PARACLETE’ promised that the Father would send ‘ANOTHER PARACLETE’. (John 14:16). Although God does not have a body of flesh, He is a ‘PERSON’. Although the HOLY SPIRIT does not have a body of flesh and blood He is a ‘PERSON’, “ANOTHER PARACLETE.” Each word, ‘another’ and ‘Parakletos’, proves that the Holy Spirit is a ‘PERSON’. 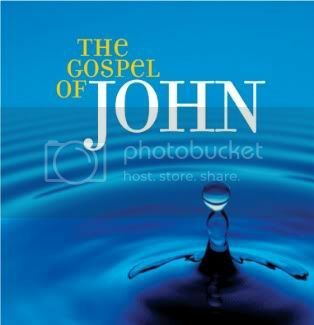 A believer who is born of God through the Faith in the LORD Jesus Christ (John 1:12-13, Galatians 3:26), is at the same time born of the Holy Spirit (John 3:5) and BAPTIZED BY the Holy Spirit INTO the BODY OF CHRIST. Every member of that BODY is sealed by the Holy Spirit unto the day of redemption, the Holy Spirit being the earnest of that Body member’s inheritance until the redemption of the purchased possession. Ephesians 1:13-14, Ephesians 4:30, 2 Cor. 1:22. Special Message...Watch these important films on LionTUBE Now! Watch these, and many more, important films on LionTUBE Now! We now live in those Perilous Times of which the Apostle Paul wrote in 2 Timothy 3:1-9, "This know also, that in the last days perilous times shall come..."
The U.N. Deception reports what the nightly news does not: the UN's creators intended their organization to become a world government. Learn how top United Nations proponents exploit small arms, the environment, and justice to pressure Capitol Hill into quietly surrendering America's heritage of freedom. Should these UN plans remain unopposed, the consequences are ultimately grim. There is, however, a way to avert this danger. Start by witnessing The U.N. Deception! The film deals with Patty, a young woman who knows and has heard the Christian gospel but dismisses it due to her satisfaction with secular life. Another reason for Patty's rejection of the Gospel is her belief that by doing good works, going to church regularly and trying her best to follow the Ten Commandments she will be saved. Her pastor, Reverend Matthew Turner, preaches liberal theology, claiming that people do not have to personally give their lives to Jesus to be saved. Patty, a nominal Christian, trusts her pastor more than the Bible or the born-again Christians whom she meets, such as Jenny. One morning she wakes up to discover that her husband, a Christian, and millions of others have disappeared. Gradually, Patty realizes that the Rapture, mentioned in the Bible, has happened and she is living in the last days of the Antichrist. A documentary was aired on French television - a documentary that Americans won’t ever see. 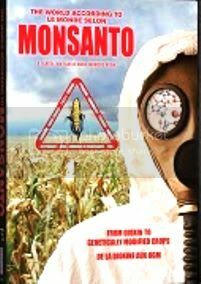 The gigantic bio-tech corporation Monsanto is threatening to destroy the agricultural biodiversity which has served mankind for thousands of years. First the Question: When we, by Faith in Christ, meet God at Calvary, we become the sons of God, a relationship which is established once and for all. True or False? 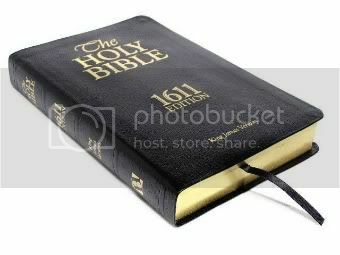 Question: In the Gospel of John it is NOT recorded that Satan met the LORD Jesus Christ in the wilderness to tempt Him. True or False? In John 7:44-48 we learn that the religious enemies of Christ were sorely displeased because Jesus, the Messiah, had NOT been apprehended. It is recorded in these verses, “some of them would have taken Him: but no man laid hands on Him.” “The chief priests and the Pharisees said unto them, Why have ye not brought Him?” “The officers answered, “Never man spake like this Man.” John 7:46. If you will carefully and prayerfully read, in Matthew, Mark, and Luke, about 50 times that the Lord Jesus said, “verily, I say unto you,” and follow through with what He said, you too will join with those who said, “they were astonished at His doctrine; for he taught them as ONE having ‘AUTHORITY’, and not as the scribes.” (Matthew 7:29). Then the religious rulers challenged His authority when He said unto the palsied victim, “thy sins be forgiven thee.” He proved His authority by saying, “that ye may know that the Son of man hath power on earth to forgive sins, He saith to the sick of the palsy, take up thy bed, and immediately he arose.” (Mark 2:5-12). A little later when the great storm at sea filled the boat of His disciples and they were sore afraid, Christ arose and rebuked the wind, and said unto the sea, “Peace! Be still”, “the wind ceased, and there was a great calm.” (Mark 4:36-39). Compare ‘great storm’ and ‘great calm’ and then say with those who saw the great miracle, “what manner of Man is this, that even the wind and the sea obey Him?” (Mark 4:41). Then note a very sudden great change in Luke 4:22-29. First, they ‘‘wondered at the gracious words which proceeded out of His mouth”. Second, the religious rulers were filled with indignation and tried their utmost to kill Jesus. He escaped their murderous attack and reached Capernaum where His hearers were AGAIN “astonished at His doctrine; for His word was with power.” (Luke 4:31-32). If you will carefully study the words of the Lord Jesus, in Matthew, Mark, and Luke, in the verses where He said, “verily, I say unto you,” you will say, “never man spake like this Man.” (John 6:47). “Verily” is the Greek word elsewhere translated ‘Amen’. In John 7:43 we read concerning Christ, “there was a division among the people because of Him.” Yes, “there was much murmuring among the people concerning Him: for some said, He is a GOOD MAN. Others said, Nay, but He deceiveth the people.” (John 7:12). The division and murmuring are still going on today. However, if people are deceived concerning Christ, it is not Christ who has deceived them, but His great enemy, Satan, who hates Christ with a vicious hatred. If Christ said He had Glory with the Father before the world was, that He had power on earth to forgive sins, if He claimed unity and equality with God, if He permitted His disciple to worship Him as ‘my LORD and My God’ (John 20:28 ), then, He was either God, or a crazy person deceiving the people. The Father spoke from heaven concerning His Son, saying, “This is My Beloved Son, in Whom I am well pleased. Hear ye Him.” (Matthew 17:5). This is the Son Who said, “the dead shall hear the Son of God: and they that hear shall live.” (John 5:25). This is the Son Who said, referring to His bodily resurrection, “destroy this temple, and in three days I will raise it up.” (John 2:19). “Verily, verily, I say unto you, hereafter ye shall see heaven open, and the angels of God ascending and descending upon the Son of Man.” (John 1:51). 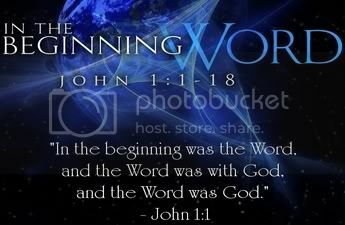 Now note John 1:14, “And the Word became flesh and dwelt among us, and we beheld His Glory, the Glory of the only Begotten of the Father, full of Grace and Truth.” The Word became flesh that He should, by the Grace of God, taste death for every man (Hebrews 2:9); that He might, through death, destroy him who had the power of death, the devil. (Hebrews 2:14-15). The LORD of Glory, in the shadow of the cross, said, “now is the judgment of this world: now shall the prince of this world be cast out.” (John 12:31). Then the LORD added that the Holy Spirit would reprove the world of judgment, “because the prince of this world is judged.” (John 16:11). In John 14:30 the LORD said, “the prince of this world cometh, and hath nothing in Me.” In Matthew 12:24 Beelzebub is called “the prince of demons”; but for some reason, in Matthew, Mark, and Luke, Satan is NOT called the prince of the world. However Satan does claim to have authority over the kingdoms of this world in Luke 4:5-7. In John’s Gospel it is not recorded that Satan met Christ in the wilderness to tempt Him. This temptation is mentioned in Matthew, Mark, and Luke. In John 1:9 the LORD Jesus is called “the true Light, which lighteth every man that cometh into the world.” We learn in John 3:19-20 and throughout John’s Record that Israel would not come to the Light, to Jesus, Who called Himself, “The Light of the World.” (John 1:12). We find ‘LIGHT’ in John 23 times. In the twenty one chapters of John the LORD Jesus, in referring to Himself, used the first person pronoun “I” and “ME” about 550 times. “MY”, ”MINE”, ”MYSELF,” about 110 times. Then adding the number of times He spoke of Himself in the third person pronoun and by various titles He referred to Himself well over 700 times. 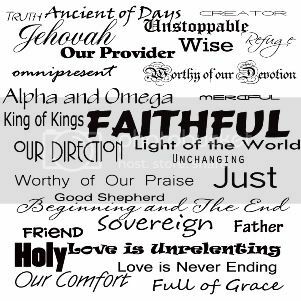 Surely the eternal, Divine, self existent, omnipotent, omniscient, Christ spake as never man spake, testifying that He had Glory with the Father before the world began (John 17:5); that He came down from heaven (John 6:38); that he always pleased His Father (John 8:29); that He had power to lay down His life and take it up again. (John 10:17-19). If you will carefully and prayerfully list all the sayings of Christ in John’s Record, you will join Thomas in, “my LORD and my God.” (John 20:28).